After six days of continous hearing, the constitution bench of the Supreme Court today reserved its verdict on several petitions which challenged the constitutional validity of triple talaq. 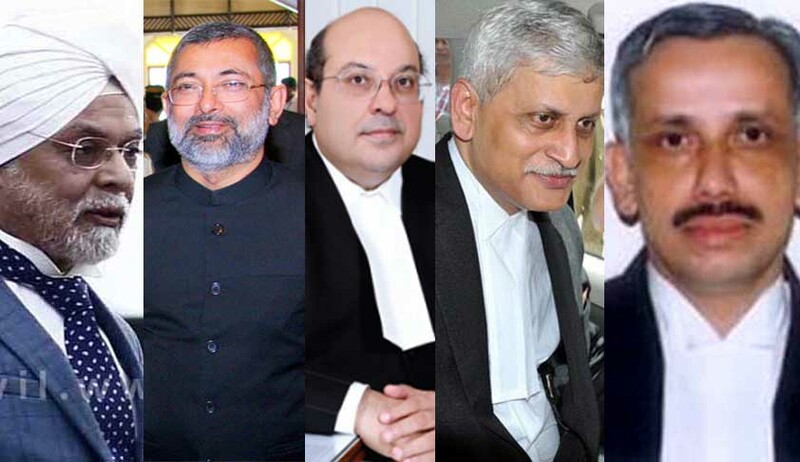 On the final day, representing several aggrieved women petitioners and womens rights organisations, advocates Anand Grover, Salman Khurshid, Arif Mohammad Khan and Indira Jaising vociferously demanded that triple talaq be declared illegal and unconstitutional. The court also gave senior advocate Kapil Sibal for AIMPLB to counter the Centre's rebuttal yesterday. The court had yesterday asked the AIMPLB if it was possible to include in the nikahnama (marriage contract) a provision enabling Muslim women to say no to triple talaq. “Can it be made possible to give an option to a wife that she can say that she was agreeable to or not agreeable to it (triple talaq)? Is it possible to pass a resolution to all ‘qazis’ to include this condition (giving right to woman to say ‘no’ to triple talaq) in ‘nikahnama’? Give an option to wife to say ‘no’ to triple talaq,” the five-judge bench headed by Chief Justice J S Khehar asked Sibal. Sibal had then said it was a very good idea he shall convey it to the Board. During the rebuttal, when Justice Kurian Joseph asked Sibal if triple talaq was not theologically bad and sinful? Sibal retorted “lots of sinful things are happening in the society protected by customs”. Sibal also said “your lordships job is not sit in a constitution bench and decide what all are sinful in society”, adding “your lordship is sitting on a slippery slope as demands for banning many more practices will soon arises after the court allows this one. All these are not in the court’s domain ..please do not venture into it”. Lawyer Indira Jaising then intervened to say it is not a “slippery slope but your lordships should walk the razor’s edge and yes it is a challenge to the judiciary”. Responding to arguments of AIMPLB and all others who supported triple talaq, Attorney General Mukul Rohatgi for Centre in his rebuttal had said the issue the way it being portrayed is not of majority vs minority but of men vs women. Rohatgi said, "Centre is ready to take a leap forward and bring in legislation. This matter is not a majority v minority. It's a tussle within the religion for rights of women". "It's not 1400 years of custom but 1400 years of deprivation," he said while referring to AIMPLB counsel Sibal's statement yesterday that how can a 1400-year-old practice be branded unconstitutional. Rohatgi asked Islam continues to thrive in Islamic countries who banished instant triple talaq. So is the practice integral to religion? “Ours is a secular Constitution. Fresh from horrors of Partition, our fathers kept core of all religions but subject to fundamental rights. When the AG said the country had got rid of all objectionable practices like Sati, infanticide, Devadasi which were among the Hindus, CJTriplI Khehar reminded hhim that courts did not do it but they were done through legislation.